Within about 4 miles of the Mount we have a WalMart and a KMart. Both have grocery sections--WalMart's is quite large. 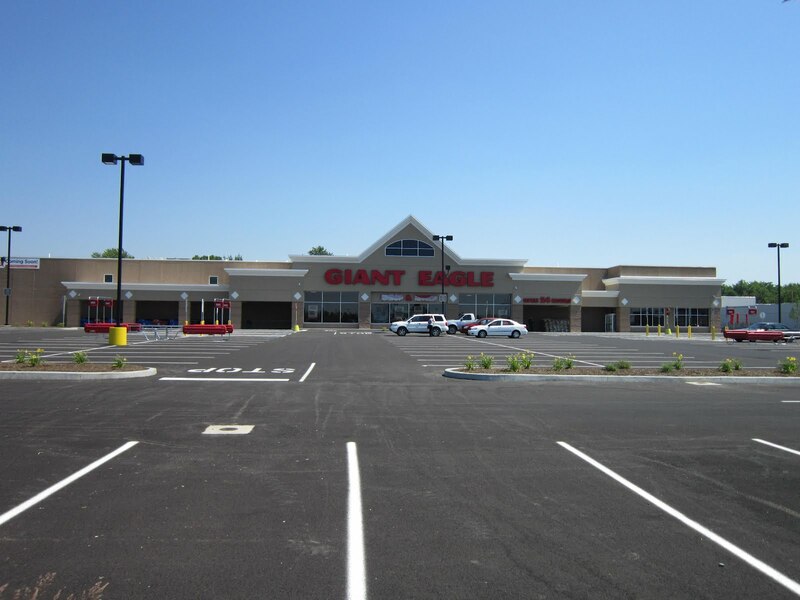 But we also have a grocery chainstore from the Pittsburgh area, Giant Eagle, and although lots of folks shop at the two other stores, Giant Eagle does a huge business, too. 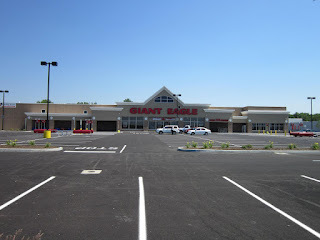 So big in fact that it just finished building a new, bigger store which is set to open this Thursday. Here it is shiny new! 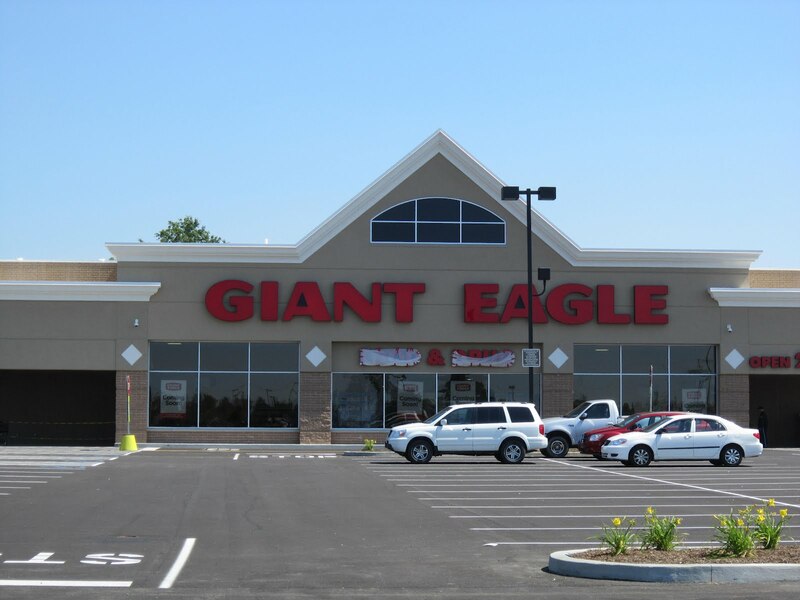 One of its big draws is their 10 cents off a gallon of gas for every $50 spent there--and that includes prescription drugs, dry cleaning or anything else they sell there. With gas about $3.59 in our area right now, 40 or 50 cents off/gallon can save some serious money. 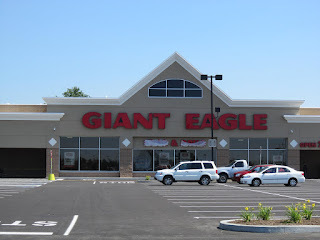 Most of us frequent Giant Eagle regularly, just to pick up something special that our kitchen doesn't usually stock or to buy flowers, a USAToday newspaper, Tootsie Roll pops from the bulk candy bins, Pittsburgh Steelers paraphernalia, special ice cream treats, personal items, a particular food favorite or a host of other things that are sold along with the standard groceries.